We're having a bit of birthday fun with today's new products! Birthdays are the number one reason most card-makers make cards, and that is why you can never have too many birthday product options! Never fear. We've got you covered! Keep your birthday cards fresh and exciting for the recipients by trying out a few of these fabulous new products! 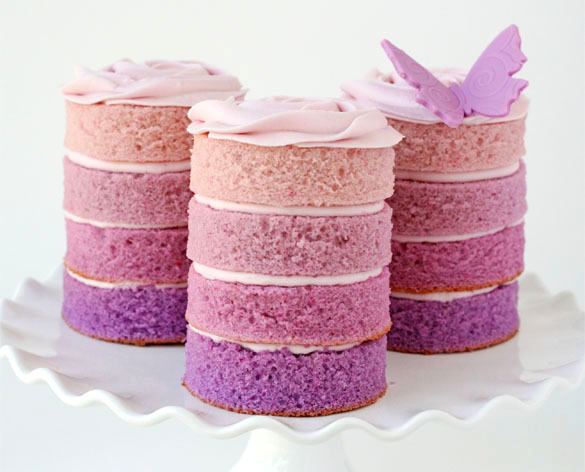 Create the trendy look of ombré with ease, using this fabulous new set of birthday stamps! Whether you choose to use one color of ink or mask the sentiments and use graduated ink colors, the design options this stamp set gives you for creating stylish cards and other projects is nearly endless! Have fun playing with color for either feminine or masculine cards, using these versatile birthday sentiments! Ombré Sentiments: Birthday will be available for purchase on March 15th. Ombré Sentiments: Birthday contains a total of 6 images. Each sentiment measures 1-3/8” wide. The “Birthdays are for…” sentiment measures 2-3/8” tall. The “Wishing you a very happy birthday” sentiment measures 2-1/8” tall. The “Happiest of birthdays to you!” sentiment measures 1” tall. These script swirls are so versatile, you will find yourself using them on nearly every birthday card you create! They can be used as focal points or backgrounds, especially when paired up with all the accents and stars included in the set. You can also use these as a mat of sorts for your favorite birthday images. Script Swirls: Birthday will be available for purchase on March 15th. Script Swirls: Birthday contains a total of 14 images. The large script swirls measure about 2-1/2". The largest solid star measures 1/2" x 5/8". The smallest solid star measures 1/4". The largest sketched star measures 3/4" x 1". The smallest sketched star measures 1/2" x 3/8". Splits: Celebrate is the second in a monthly series of stamp sets featuring a “splits” focal image, each with their own handcrafted look and theme. Each month will include a different sentiment that is interchangeable between any of the “splits” frame images. The sentiments will be sized just right to snuggle into the space provided within each frame stamp. A coordinating die will also be available to make cutting, stamping, and mounting them a breeze. A lot of mixing and matching fun to be had, you’ll want to be sure to collect them all! Splits: Celebrate will be available for purchase on March 15th. Splits: Celebrate contains a total of 3 images. The frame image measures 2 3/4" x 2 5/8" and the "Celebrate!" sentiment measures 1 3/4" x 1/2". A coordinating die will be available for sale separately, retailing for $6. This is a single die measuring 2 3/4" x 2 5/8". 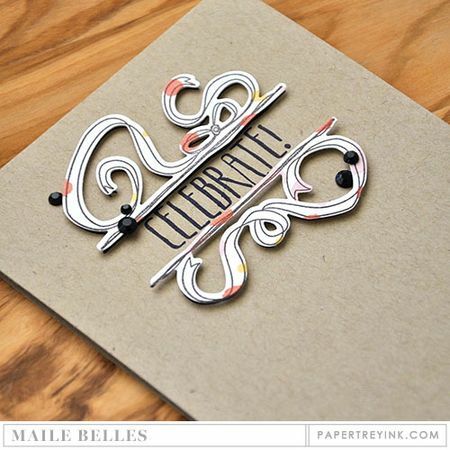 Maile has also designed a new birthday die collection! Once you die-cut this balloon beauty, all kinds of possibilities will open up to you! Whether you color the bits and pieces or do some clever paper piecing, there are lots of opportunities for color combinations here! You're sure to love it! Best Birthday die/collection will be available for purchase on March 15th. Best Birthday contains a set of 2 wired dies. The birthday balloons measure 4-1/4" x 5-7/8". The "Best Birthday Wishes" sentiment measures 2-5/8" x 1-5/8". Maile is also bringing you the next in her Shaped Sayings die series. This one is a great basic to keep on hand! Accent the frame with die-cut stars, sequins or anything else sparkly! Shaped Sayings: Birthday die/collection will be available for purchase on March 15th. It will retail for $7. Shaped Sayings: Birthday is a single die. It measures 3-1/2" x 2-3/4". This month, we're introducing yet another new color….a vibrant green, perfect for spring. This is a good compliment for New Leaf with a bit more blue in it when compared to Simply Chartreuse. It also looks lovely with Bright Buttercup for daffodils! We are also pleased to introduce the new Green Parakeet + White Basics pattern pack. These include a few basic patterns printed in bright white with Green Parakeet on our famous white linen textured paper. With a large polka dot, bitty dot, thin stripe and diagonal stripe, you will have all of the basics covered and find yourself using them time and time again! Green Parakeet + White Basics paper packs will be available for purchase on March 15th. 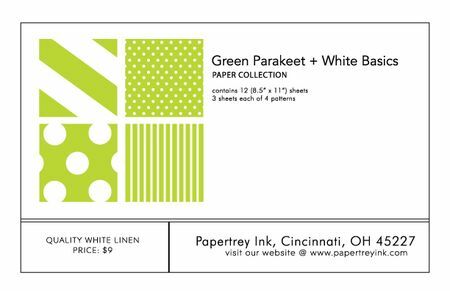 Green Parakeet + White Basics paper packs contains 12 (8-1/2" x 11") sheets, 3 sheets each of 4 designs. 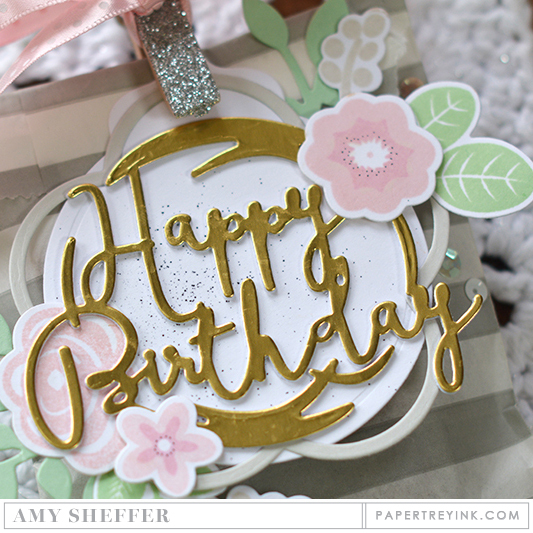 Amy Sheffer will be featuring Shaped Sayings: Birthday die. Kay Miller will be showcasing Script Swirls: Birthday. 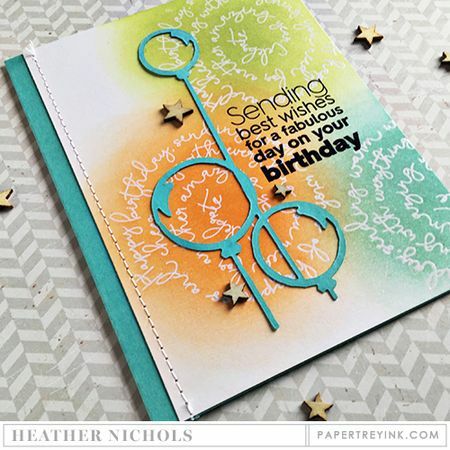 Heather Nichols will be featuring Ombre Birthday Sentiments and Best Birthday dies. I hope you have enjoyed all the creations that I have shared with you today! Are you excited about these amazing new birthday products? And what about that Green Parakeet? Will some of that be making it's way to your home soon? We would love to hear your initial thoughts on everything we introduced! Please leave a comment on this post to tell us what you think of the new products and you will be eligible to win big! You have until 7am EST, March 12th to leave your comment and be eligible to win. Only one comment per person please. One randomly selected winner will be announced on our March Release Winners Page before noon EST the same day. Thank you for stopping by today and best of luck with the contest! Omigosh – today’s release is AWESOME! Going to want everything! Love, love, love Erin Lincoln’s birthday card! These are all really useful sets! And I love the Green Parakeet colour – gorgeous! So much great stuff in this realease as always! I can always use more birthday stuff! LOVE the new green parakeet!!!!! I always love when you release a new color! Green parakeet is a great addition. Love everything today!! Green parakeet is beautiful. One can never have enough birthday stamps and dies. I can never have enough sentiment stamps! You can’t ever have too many birthday stamps and dies. What a fun release! Love this new color and these birthday products are incredible! How am I ever going to choose what to buy?! I want it all!!! Love Green Parakeet, and you can never have too many birthday stamps and dies! There’s no such thing as too many greens – loving this new color! And the same goes for birthday stamps and dies. Fun month so far! I really like the new ink color and the birthday dies and stamps. Love that Green Parakeet color – it’s what we will be painting our kitchen! Wonderful projects today showcasing the releases. Loving all the birthday additions, as birthday cards are always the most made card. Really liking this month’s splits release and also those balloon dies! Love green parakeet- great name too! I I love this month’s shaped sayings birthday design! That’s a series I think I will be using a lot. Green Parakeet is a fabulous color as well! Love the new color, and it’s always great to see wonderful new birthday products! So many fun new things to celebrate with! And I love the new green. It definitely fills a gap in my personal color palette. Love the new colors and the dies and stamps they are all amazing. I love all the new birthday stamps and dies! I will need a 2nd job to afford it all! I love the new Green Parakeet color! So fun! And one can never have enough fabulous birthday products! I am particularly loving Dawn’s sentiment set. A girl cannot have too many greens….really like the new green parakeet color. I really like the Best Birthday and Shaped Sayings: Birthday dies. Great stuff today! Lovely new color that will fit in quite nicely with the other greens! I love the swirl sentiments! I was hoping for a new color not in the green family but maybe next month. Love the new color, and those cute balloons! These all look very exciting, and I really love that new green! I’m hoping all the products showcased today make it to my house! You can never have enough birthday cards in your stash! Very clever use of the circle tag as a balloon! Fun new sets and colors. All the birthday sentiments stamps and dies are great. Can use them all. The green parakeet is really nice too. Oh, my! GREEN PARAKEET! I need this! Sooo cute, love all the new birthday designs!!!! Must have the new green parakeet! Thanks ladies! Love, love, LOVE the green and ombré!! Nice! Love the new green! Green Parakeet is a beautiful color that I’ll enjoy using. Love Maile’s balloon die too! I’m loving the Bloomin’ Cute Sentiments dies! Looking forward to those Script Swirls! Nice. Glad I bought Inspired Savior last month. I can’t wait to use it with Inspired: Lord from this month’s release. Fabulous projects for today! I too, am loving the green parakeet!! What a fun release! I am loving all the design team projects! Love the Best Birthday balloon die! So much fun! I can always use new birthday products. I love Dawn’s new set and the new green. I love that new Script Swirls Birthday! And the green parakeet is fabulous! Thanks PTI!!! I’m happy to see so many Birthday releases, because one can never have too many birthday stamps and dies! I will also have to purchase the new color. I like the color itself, but I really like the name. I love all of these, including that new green!! Birthday stuff is always soo much fun! I thought the sprinkles set looked interesting..can’t wait to see more! Thanks for the opportunity to win! Love the new birthday dies and stamps. The projects are so inspiring. I have an older Papertrey birthday sentiment set that I use all the time but am looking forward to something new. The new green is awesome. Hope you have a HUGE stockpile of the green parakeet ink. I bet it gets included in every order! The script swirls and the splits: celebrate are on my list, too. Such a fun release this month. I love the new color! And all of the great new birthday supplies are going to be so useful! Loving all of these new and creative dies. Beautiful cards! Love the look and idea of Ombre Sentiments! Great new colors and I am loving the splits: celebrate. Absolutely the prettiest green. Just like the birds I had as a child. Fabulous! Today’s release is just gorgeous! Love it all! I❤️❤️❤️Kay’s card using Script Swirls: Birthday!! Always need more birthday designs. Loving the new die cuts. I was unable to view the sentiments, however I am sure they are equally wonderful. More new colors I am running out of room in my paper drawer! The balloon dies are fabulous. Thanks Paper Trey! LOVE the new ink color and the projects shown today! WOW!!! Love the Green Parakeet color – beautiful. What a good idea in Ombre Birthday Sentiments to have the effect come from the weight of the font on each line of the stamp! (Thanks Heather for explaining that!) It will be fun to see it used with colored ink! Script swirls birthday will make a great addition to my stash! Good timing, was just looking for something fresh and new – thanks!! I am loving everything I’m seeing today-great projects from the design team. That new shade of green is delightful! Marvelous x awesome birthday themed products! List is soooo long! Thank you! Great new color, bright and cheery. Loving all the new birthday stamps and dies. Can’t wait to play with the balloon possibilities. Hip hip hooray for new birthday stuff and the new Green Parakeet!! I LOVE this new release! The fresh, bright green inks and those birthday wishes balloons are amazing! I just made an order a couple of weeks ago…thought that I would be “good” for a little while. Maybe not. Have started my list…can’t press the buy now until the next credit card bill is paid. I am really liking the birthday-themed products today, especially the Birthday Swirls – very fun and unique. And versatile – birthday cards are always in the making. So many awesome new birthday goodies. The Best Birthday dies are fabulous. Beautiful cards, all of them! Another fun day of releases. Very useful and fun additions to your products. The balloon dies are super cute and very different from what is already out there. Love the new items – especially the balloons die. It is on my ‘to buy’ list! Thanks so much. Those Best Birthday dies are fantastic! What a pretty green ink! Love the new color Green Parakeet, just so bright! Since most of the cards I make are Birthday, I am loving this month’s release. Love the Ombre Sentiments and the new birthday dies are awesome! Oh, there are so many fun birthday products this month! And I’m very excited about the new green! I love all of the new birthday items! They are all fabulous and the new color is stunning! Love, love, love, the new color green parakeet as well as the shaped saying birthday. Love the new color! And the balloon die is so cute! Great birthday sets. Love the cards! I spied a Lord set to go with our Savior set! The Splits is also intriguing. I really like the Splits line … so versatile. And who doesn’t get excited by bright green after the winter!! I always love new birthday stamps and dies! DT does a great job showcasing new products for PTI! More beautiful products again this month! I need to win the lottery to keep up!!! So happy to see birthday goodies. Love the frosting stamps and dies. So fun! Loving all the birthday projects! Great ideas to shake things up! Love the new Green parakeet color! I think the new color and birthday stamps and dies are awesome!!! wonderful birthday goodness today…very fun to see. I am in love with that new green…so pretty! Love all of the new birthday products!! My wish list is growing! So much eye candy! I love the scripted swirls and the new green and the balloons and…just everything! Already a great release! Love the look of the script swirls and the shade of Green Parakeet. Maile’s balloons are so much fun. I love the hew green. I know I have to get the new birthday additions. Great dies! Love the new color! The Spiral stamps are so pretty! Love the new color and all the birthday things! Can’t wait to see the full reveal on these. I absolutely love the script swirls stamp. It will be in my cart for sure. I love the green parakeet!! I’m really into greens lately and this is a wonderful addition! i love the new birthday products. i send those cards the most and am always looking for new products! Loving the new color and designs what a great release. Birthday cards are my most favorite to make. Can’t wait to add some of your new products to my cards. The new green is lovely!! Love all the new stamps and dies especially the birthday swirl! Just love the new green color!! So clean and refreshing, also love the birthday dies and stamps especially the balloons!! Love birthdays! These are super fun and awesome… especially love those balloons! I make more birthday cards than any other type, so these new releases will be perfect! I have my eye on the frosting strip dies,,,,saw a peek on Erin’s blog! Amazing new release! I especially love the new scripts! Just beautiful. Wow, love the Parakeet green and all the new birthday sentiment sets! LOVE the birthday balloons, so many possibilities with that one. I can see the inlay technique…I might have to have that one!! Love all this birthday inspiration. And Green Parakeet too. Ohhh Myyy PTI! This set is Gorgeous! This release is going to be Awesome. Love the Die Collections on this one. Amazing release posts today! So happy to see another new color of paper and ink released!! Green Parakeet looks like a wonderful new color! I love the new birthday dies. Too fun! Love the new release. So many color and dies- where to begin. That green is gorgeous! Loving all the birthday additions! These new additions will help to celebrate many Happy Birthdays!! Love the circular tag and fresh colors! Love the Green Parakeet color! Can’t wait to pair it with the Tulips…so fresh for spring! I like the birthday offerings. I Love the new color!! And birthdays are my favorite cards to create!! I love so many things today!! Can’t wait to see it all! I love birthday stuff! This month’s release looks fabulous! I’m loving all the new birthday products and the green parakeet color paper is perfect. It looks like the perfect spring or even Halloween green. Loving Betsy’s feather cards today! And that cake set just gets better and better! I also love the new color! The splits is a really creative concept. Such great products today! They are great in peeks, but even better in action! Parakeet is a very festive shade of green! Shaped Saying-Birthday looks like fun. Lots of pretty samples from the DT today! Great job ladies. Love the shaped saying:birthday and best birthday balloons. I could create so much with this two dies! I love the new birthday additions and the new color. My wish list is getting a little longer. Oh….I love the dies…and new colors! Awesome birthday additions! What a fabulous release!!! Gorgeous colors, Amazing fonts,I love the balloons and all of the inspiration, What’s not to love? I know I have loved everything on this new release!! Love what the Ladies did with Script Swirls-what an amazing set! I can’t choose, I love everything! A special shout out for the Green Parakeet paper though! Love that color! Wow! What a fun release! I love the shaped sayings – birthday. It is so fun. I love that you can make it pretty by cutting in gold or fun with bright colors and watercoloring! Love the ombre stamp option and everything else on today’s post! Love the shaped Happy Birthday die, and the new Green Parakeet color! I spent a lot of time playing with stamps and your dye inks last week- completely love the vibrant colors – New Leaf especially. Green Parakeet is a perfect compliment. 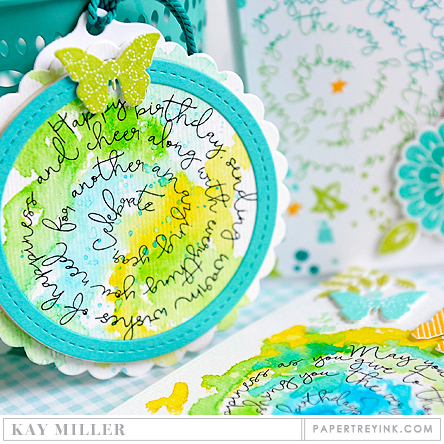 The Script Swirls card made by Kay Miller is really eye catching. The style of the sentiment and font used is something I would like to have in my collection of birthday greetings. Unique! Love the shaped saying die! I love this month’s release! The sentiments are something i use a lot so I’m excited to add to my stash! The new color is great! I like the sprinkles and the Green Parakeet. You’re right – birthdays are the cards we create for most – love all these new options for designing them! I’m already imagining all the styllish cards I’m going to making with Script Swirls. Love the concept! P.S. Kay’s cards were amazing. Love that Green Parakeet! Another great release. I would love to go shopping with this win. the balloons make my heart sing! Love the new Green Parakeet color! Love all the birthday products being released this month! The birthday designs are all fabulous, but I’m really in love with the Scripty Swirls!! And, of course, the latest in Maile’s splits! It’s all so wonderful, per usual. Loving all of that pretty green card stock and those fabulous balloons!!! I love the Script Swirls Birthday and the new ink colour! LOVE everything today! And Green Parakeet is beautiful! You people never cease to amaze me. I find new and interesting items each time I visit your site (several times a day) Just love these new products. I think my top favorite so far is the Script Swirls. I’ve always wished I could neatly write in a circle; now I don’t have to!!! Always excited for new colors! Love it! My favorite today is the Script Swirls: Birthday, and what Kay did with it is just beautiful! Can’t wait to see more! Great release. Love all the designs. Another great day where it’s hard to pick a favorite but I think Script Swirls is at the top of the list. I love the balloon dies! You could use the negative from them for some interesting designs, too. Ooooh! I love the script swirls! I am already imagining all the things to do with that stamp set! Yay–another new color! Love that cheery green! Great examples using the new products. I’m so excited to get my hands on there! You can never have too many birthday card supplies. Oh my! I really need to freshen up my stash of birthday card supplies and today’s sneak peeks are perfect for that!!! Love these new goodies! Love the balloons & swirly words! Wow, I love the new greens! And the balloon die too! Ooooo a new green…Love it! Very vibrant for spring for sure. And the new shaped sentiment die for birthday…amazing! That balloon die is uber cool!! Love the new colors and the happy birthday die! The new birthday products are great! So much fun! So much GOODNESS in one day! I love all the birthday dies. Thanks for sharing! I just love everything in today’s release. 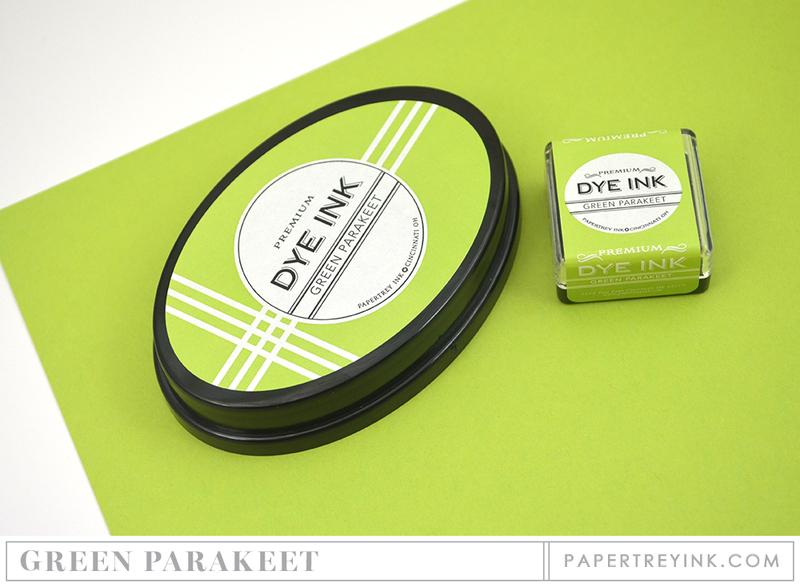 The new green parakeet ink and papers are gorgeous. perfect name for the perfect Spring Green…. The papers are wonderful.. I am so happy to see a new green! Love it. What a great release. What a fun, fun day this is! Loving all the happy products! Oh, I cannot wait until release night!! Love the balloons!! Love all the fun new birthday products! Can’t wait to see more! I love all the different birthday products and the design team’s creations continue to be outstanding. Bright spot in this gray day is seeing that new vibrant green color! Wow! And I love the birthday balloon dies. Look at all those little sprinkles you can put on the cake! Cute! Lovely projects ladies! Birthdays are my favorite!!! And Parakeet is a fabulous color! So exciting!!! Love everything and the Design Team projects make me so happy! so many delightful birthday ideas! Gorgeous samples again today! Love the balloons die, can never have too many of those. I cannot wait for the full release on the 15th so I can see all the details of the awesome new stamp collections!! Script Swirls is at the top of my wish list this month. I especially love Kay’s watercolored card, and I really like that the swirls look different if you change the orientation when stamping. Loving the design team samples for these! I’m loving the new products!!! Very beautiful cards. Can never get enough birthday items. Seeing all of these new birthday supplies makes me so excited for the 90+ birthdays I make cards for each year. Love the Script Swirls: Birthday! I am a sucker for all things Birthday, so today was a lot of fun. LOVE the new green, but I love all greens, and such a contrast to the browns and whites of winter. So loving the script swirls! Oh wow–love the balloons & the splits & the new green ink! Yay, for another new color! Green Parakeet looks awesome. I’ll be anxious to try it out for this year’s spring projects! Love the new color! Can’t wait for Tiny Towns? Love the new birthday stamps/dies….I have a lot of birthdays to make cards for each month, so I really need something new to inspire me =) Also love the green parakeet. Wow I am very impressed with everything so far these past 2 days. Hooray for more birthday stamps and dies, and Green Parakeet! Especially love Erin’s samples today. Thank you, PTI! Gorgeous Green Parakeet Color! Makes me want spring! Such beautiful inspiration from the design team too! Beautiful cards!!! Lovin’ the birthday dies! Oh I love anything balloon related and scripty sentiment related! Sweet! It’s hard no to love this release-lots of good dies and stamps that look easy to use to create something fun! These are all fabulous! Thanks for your continuing inspiration. I am loving the new products! I make a ton of birthday cards so this release is perfect for me! The green parakeet color is absolutely beautiful! Such a fabulous color for the spring and summer! Love the new birthday products! Love absolutely everything but those script swirl stamps are stealing my heart!!! ??? 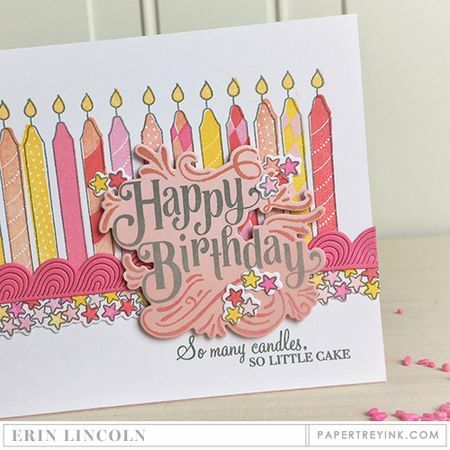 Cute, cute, cute….love the birthday dies and that stamp that is circular and says Happy Birthday is so cool. I can’t wait to put that in my stash! I love the new birthday-related dies, and new colors are always welcome! Thanks for the chance to win a gift certificate. Every single thing today is amazing! How can I even choose which is my favorite? They all are! I want everything shown today! I spent so much last month that I was going to skip this month. Nope! I just hope I don’t go too high! Beautiful new dies and papers! Love the new colors! Perfect for the spring! Always glad to add another green to my collection! Such a lot of fun birthday products. I am in love with the balloon dies!!!!! Love the new colors! Perfect for the spring! You can never have too many birthday dies and stamps! So very in love with the new green and all the dies. WOW! I think I’m all in today!!! These dies and stamps are so fun and very unique!!! Love! I’m loving all the new colors you’ve been releasing – hope to see some pinks soon! Love the new Green Parakeet color! I cannot wait to get that color into my collection of inks and papers! Love the birthday sentiment, so pretty!!! This release has been great so far. I just love bright and cheerful colors and your examples are very inspiring. Can’t wait to see more. These new products look amazing!! Love what I’ve seen so far! Lovw the new Best Birthday dies! Loving all the new birthday fun! Also the green color, it is perfect! 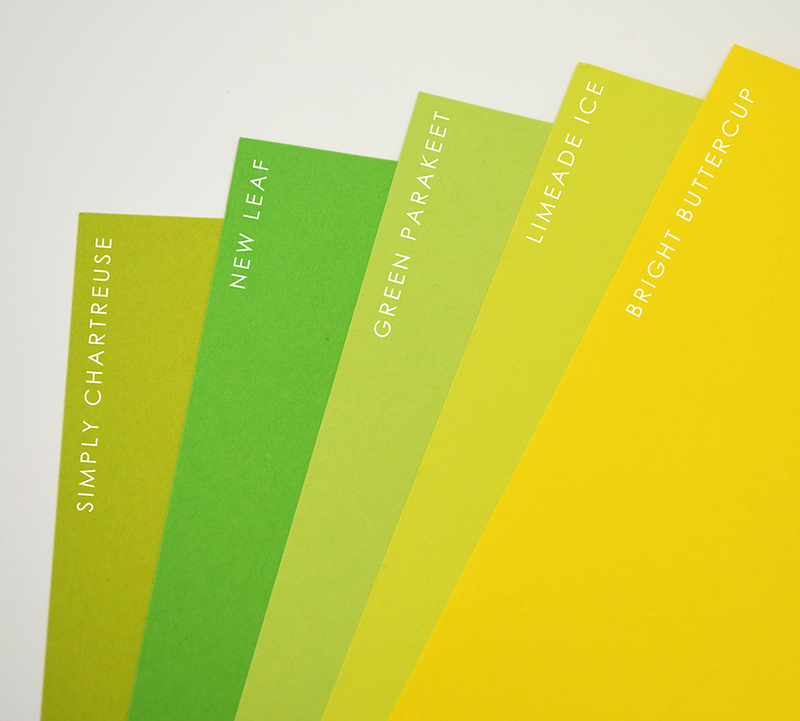 So many great new products – but that Green Parakeet ink and paper is stealing my heart. Great dies in today’s post. I really like the swirly stamps showcased by a couple of the ladies. Another great day! Love the new green parakeet color and the script swirls. Fun new birthday dies and stamps! Love the new green color – just what we’ve been needing! New items for making birthday cards are always welcome – deciding which ones to get will be hard this month! Love Green Parakeet! And I really like Script Swirls: Birthday, Kay’s cards are amazing! What amazing, creative products. Loving script swirls! All the designer’s projects are amazing! I love the new green. It is perfect for spring!!!! Great products today! The balloon die is so unusual and creative. Can’t wait for ordering day. Oh anything birthday is super exciting! I make so many birthday cards for everyone at work and it is nice to have a variety. I am in love with the scripty swirls! Great samples! love the new birthday dies and stamps, all the great ideas too! So many cute projects from the DT’s. Yay, more birthday-related goodies I need. Green Parakeet looks like another popular green. Off to read more details on the DT’s blogs. I love all things birthday! Great projects from your team! But I miss your inspiration, Nichole! I’m admiring the tag Amy Sheffer made with Shaped Sayings: Birthday… and Green Parakeet – love the color, love the name! Day 2 and I didn’t think you could beat yesterday – but you did!! I spent so much last month I was oping for a “light” release this time, but no. I need everything! As allways so many new things i just love. Loving all the new and exciting birthday ideas. And that new Parakeet green is beautiful! Another BEAUTIFUL group of goodies!!! Spring is definitely in the air!! Wow I love all of the new birthday dieso and that birthday swirl sentiments! I can see using these items again and again. Great projects from everyone today! I want it ALL! Everything is just amazing and that green parakeet is so pretty! Love all the new birthday products, which we can never have too much of! Love the new green colour, too! I love these sneak peaks and the building anticipation of the release. Love the new color–Green Parakeet. As always the cards are beautiful. 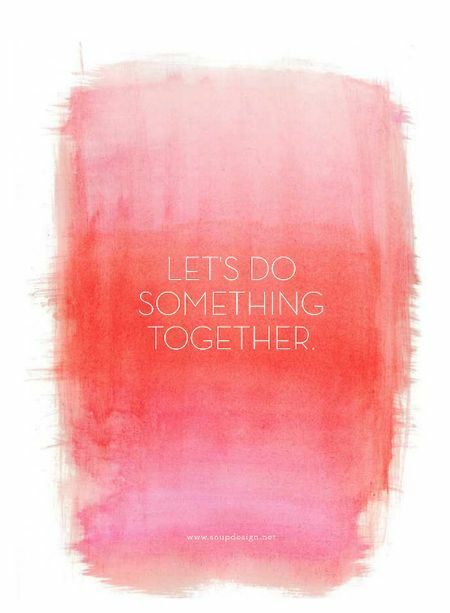 Ombre Sentiments look like so much fun! Wow I love Green Parakeet, such a gorgeous color! Also Best Birthday die collection! There never seems to be anything that I really don’t like!! I do enjoy the new color!! One can never have too many birthday themed stamps and dies! Great new choices. The green parakeet is the perfect addition to the PTI green family dye inks! Great green. Love the Script Swirls: Birthday as well. mas opciones. Muy versátil el material de cumpleaños. Hoping the Sprinkle Borders are going to be shown more. Love those bitty stars! All of the design team’s projects are delightful. My favorite new set is Script Swirls: Birthday! Very fun! Excited for Ombre Sentiments: Birthday and double excited that this looks like a new sentiment series! YAY! Too much awesome! Love it all! Another FABULOUS Day of creations and a new color too!! 🙂 BEAUTIFUL as always PTI team!!! Can’t wait to see the full reveal on these products! Specially like the Shaped Sayings: Birthday. Love the new color! And I can’t wait to get my hands on the great birthday products! I love that new green parakeet color! Everything in the release is great. I see some new things in my future. 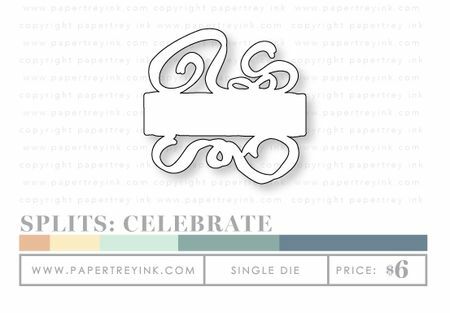 Love the Splits: Celebrate die…looks like it could be lots of fun! Can’t wait to see more. I make mostly birthday cards so I am loving all the new birthday products! So many great ideas and inspiration from the amazing designers! Love all of the new birthday dies and stamps. And thank you for the new shade of green. Always love adding new colors. I love the Script Swirls: Birthday! Hope there will be more of these in the future. The green parakeet color is fabulous. Also really loving the script swirls. The birthday balloon dies are my favourite today – great idea and very useful. Always excited to see new birthday sentiments. I look forward each month to see what is new and excitingly! Wow! I love the card ideas. I get most of my ideas from here. It is obvious to me that there can never be too many shades of green cardstock…who knew that I NEEEEEDed Green Parakeet? Obviously, it was PTI! So in love with the new green!!!! Love, love, love everything showcased in today’s post! The new Green Parakeet color is amazing! So springy! Amazing projects showcasing all these new additions! You are right…we can never have too many birthday product options! And these options are great! Awesome new birthday products and love the new Green Parakeet color! Birthday joy! And icing on the cake : D. Love the new color. I see some really fun shaker possibilities with the balloons from Best Birthday Dies! Can’t wait to see all of the ombré Birthday set, love the clean font! Love the new ink colour and today’s projects were terrific. Cheers. Just the name makes me NEED this happy color. So much else to absorb as well makes for a fun release. I’ve wanted a color like Green Parakeet for a long time! I’m so excited to see it in this release. There are so many wonderful products! I LOVE the Best Birthday set! I already have tons of ideas for this set. My mind is going crazy thinking of things to do with this set. Can’t wait to get my hands on it. Oh, so many goodies! I really like the Green Parakeet; even the name sounds fun! For me, the Shaped Sayings Birthday is a must-have. Layer it, float it, make a shaker card or gift box. Possibilities are endless! Thanks to your creative team for the awesome descriptions on how the cards were done. All perfect birthday sets and I love the new Green Parakeet! I love the new Script Swirls: Birthday!! It looks like a lot of fun!! Also, the new green parakeet color is fabulous!! Fabulous projects by all! I’m loving the new Shaped Sayings series. It’s a celebration! These new releases make me want to jump for joy! The balloon dies are awesome and I love the new color!! I love all the birthday goodness! LOVE the Shaped Saying: Birthday. Another fabulous release… can’t wait! I always need birthday cards. Love the best birthday die! Happy to see the birthday sentiments, I can always use more of them! Really like the release this time of year. My favorite so far is Script Swirls: Birthday. Love the new stamps, dies and great new color!! Love those balloons! And the new green Parakeet is great! Amazing new dies with balloons!! Birthday theme is always great with you! I’m loving the Shaped Shaped Sayings: Birthday die and the cards Amy made with it – fantastic! Love all the new additions today and I can always do with another green colour! Love, love, love all the birthday stuff!! Nichole’s Script Swirls: Birthday, both of Maile’s new dies….yep, all those will be coming to live with me. Here goes my wish list again! Lovin’ it all~! Love the new Green Parakeet color, and all the birthday stamps & dies. Love the best birthday die. And love the new color another great month. And the list is getting longer. Wonderful products, love that new color! Oooooh, I love all these new birthday themed products. Fabulous! I’m really liking the Splits and Shaped Saying items. Wow, great release with so many different ways to be creative with celebrating birthdays – awesome! Script Swirls and the Green Parakeet are my favorites today…and the cake! I sure would like a piece of Nan’s cake!!! Thanks, as always. That Green Parakeet is a beautiful color. With a family as large as ours I’m always looking for new ideas for birthday cards, especially ideas that will work for masculine cards. I can hardly wait to start making cards with the birthday items in this new release. Love the new green parakeet! And always love new birthday products! Oh what fun birthday stamps and dies and projects! Happy Birthday to all! Love the new color, too! I particularly like Script and Swirls for its playful quality. Fantastic supplies! I am loving it all today, especially the gorgeous DT samples. I love the balloon die and the green ink and all of the rest. Spectacular release! I love this month’s shaped sayings Happy Birthday design. I can always use more birthday stuff! Love Green Parrot and Shaped Saying: Birthday! The new green is fantastic – great color! This months release keeps getting better and better … amazing DT projects to show the new goodies off perfectly! Gorgeous birthday creations that would WOW anyone. PTI ink pad colors are so beautiful and very special along with the new Green Parakeet color. EVERYTHING IS IMPREESSIVE! Love the new Green Parakeet color and the way you showed how it fit in with the green color family. Would you consider selling paper packs of a complete color family? Those greens look so good together! I love all the new things for birthdays and the new Green Parakeet color too. Just gorgeous- love those scripty swirls!! That’s for the opportunity! ! Love the new birthday dies and stamps! I love all of the new dies and the green parakeet colori looks great with the new leaf color! Love the new Green Parakeet color and the new Green Parakeet and White Basics paper. Love that color combination! Love the new color; one has to have a nice range of greens to create with. I always need more birthday stamps/dies so bring them on. I just love all the birthday products. I make more birthday cards than any others. Sooo many fabulous products today! Absolutely love the Script Swirls, a definite must have and I love the freshness of the Green Parakeet! Love the new colors! Love all the birthday items! Yes…love the Green Parakeet…and my eyes are still gravitating to the Inspired series. Nichole you outdid yourself with the script swirls!! It’s by far my my fav. Good job!! May I also suggest a new green color that’s more in the NEW LEAF range? Really need another color. Thanks. The new color is gorgeous!!! Perfect for spring! More birthday stuff is always good! Everything looks fabulous today! Love the new color! Always love to see new colours and Green Parakeet is perfect for this time of year! I’m giddy after seeing Lizzie’s multi-colour cake sprinkles- what a genius idea! Love everything! Green parakeet is beautiful. Gorgeous cards! Love the balloon grouping and the new Green Parakeet colour. I just LOVE all the birthday dies and stamps! I was just thinking I need more and these are gorgeous!!! And the samples- took my breath away! A must have! Another great day! Love Green Parakeet! Love the ombre sentiments, love Lizzie’s sprinkle cake! Love the new green color! Perfect for spring. Love the cards ladies! This release is amazing already! Just love all the birthday goodies! Can’t wait to see the full release. Wow, there’s a lot of awesome inspiration from the dt. Thanks for sharing. Lovely new items. So exited for another great release. The March items will come out just after my Birthday….Yay. They’re so pretty. Love the name of the new color, “Parakeet.” So sweet. I love March and all the birthday products. I do make the most of those. I am missing Nichole’s projects lately but know designing and running a business besides family is a lot. Some fabulous new products there, like you say we can never have too many options for birthday cards. Those swirly scripts & ombre sentiments are a fun way to get the Happy Birthday message out! Love love love all the new birthday stamps and dies! I love the new green color. Love the script swirls birthday stamp and the shaped birthday die and the new color. I love it all! So love all the birthday themed products. beautiful products and projects today! LOVE LOVE those Script Swirls B-day!!!! Fabulous cards and the new green is fun! Love everything! The new big ballon birthday die is amazing! I look forward to seeing the whole set of birthday sentiments. The balloon die cut is so fabulous! The new green is fun too. Great balloon card Heather. Love the new color also- a great green for spring. Lots to love today! Script Swirls, Shaped Sayings and Ombre Sentiments are at the top of my list. And Green Parrot is a must-have! I have to buy Script Swirls! I like the best birthday dies. The balloons look like bubble wands! I love making birthday cards, so anything birthday related catches my eye. I’m really into scripted die cuts, so of course the new ones you shown today are on my list. Can’t wait for the new products. Love the new color Green Parakeet. And the Script Swirls: Birthday are a must have! What a fabulous release. Love the new Best Birthday die. Looks like a quick and easy way to make a birthday card. Also, loving the new green! Green Parakeet looks wonderful – love the color. All of the projects are fabulous today, but my favorite is the card by Kay using your Scripted Swirls: Birthday and One Big Happy. Love it! Love the Script Swirls! Beautiful examples from Kay and Heather. I have sooooo many birthday products, but I can’t pass up the ones in this release. Fun! Fun! Fun! Ombré Sentiments sounds very intriguing–can’t wait to see it! I love love love the new Green Parakeet color!!! I am loving all the birthday goodies! My favorites are the Script Swirls and the Best Birthday Balloons! way Fun!!! i especially love the new Ombré Sentiments: Birthdays! And green parakeet is a fun addition! Wonderful, especially the Script Swirls. Loving the new Parakeet paper and the Ombre Sentiments sound like a must have for sure! I love seeing all the birthday inspiration! We have so many spring birthdays in our family and I was just thinking to myself the other day that I could maybe treat myself to some new birthday card making materials. I think I’m going to have a hard time picking this month! The new green is just WOW! And I really like the script birthday stamps. I’m always excited by birthday products! And love the new colour. Looking like a great month. I love that new shade of green–cute name, too! The best birthday die is gorgeous – it looks like a really quick way to create a fun card! Love that we’re always able to add new sentiments to our birthday stash, so that our cards stay current and unique. And especially adore the new green – such a fresh, vibrant color – I don’t usually order the paper, but think I will add that to my cardstock order this time!! I love the Script Swirls! How fun! All of the birthday items are amazing. I am always looking for unique birthday sayings and dies. I love all the birthday sentiment options – picking a favourite will not be easy but I do love the unique Script Swirls. OMGosh! I’m in LOVE with everything today!!! Love the new color and all those new birthday sets! Definitely the type of card I make the most! Love the Best Birthdays dies!!! And the Green Parakeet!!! Loving the new birthday additions to the PTI family, especially the new balloon die – so great for birthdays or any other “Congrats” occasion! Keep up the excellent creativity! Green Parakeet looks like a winner!!! Totally awesome goodies! I love them all. The card designs are incredible! PTI designers are so wonderfully creative. I am always excited for a new color! Oh, wow!! All these beautiful birthday products!! I LOVE the scripty swirly set; sooooo fun! What a pretty green! Can’t wait to see the rest of the reveal. Oh! I love the balloon birthday dies. How fun! Love the new color-Green Parakeet! I always love new birthday stamps and dies! I’m loving all of the new birthday stuff. I can never have enough for birthday cards! Green parakeet is gonna be my new favorite color!!!! Still loving it, loving the Parakeet color…..but where are my coral and blue turquoise? Loving all the new products and the green parakeet color. Love the new script swirls! Wow! All the new products are fabulous. Love it all, it’s going to be hard to choose this month! Oooooh! I love the dies; the balloons, the Splits, the Happy Birthday…all so very nice! 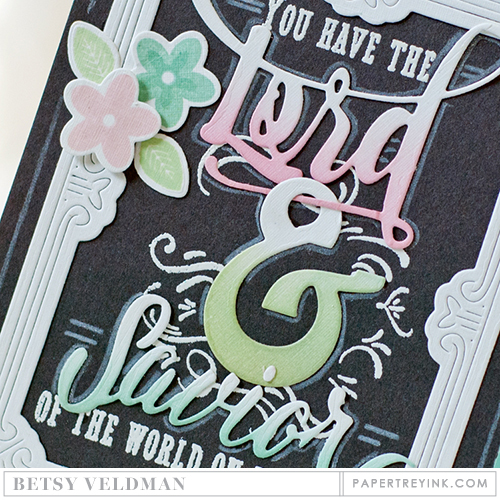 I love Maile’s simple yet striking card and Betsy’s gorgeous, chalkboard scripture card! Loving the Green parakeet ink! And you can never have too many birthday dies and sentiments! Love the new color and the fabulous birthday dies and stamps! Love the new die-cut, especially the balloons. I know I’m the crazy reader in the bunch but, I’m so excited about Green Parakeet! It’s such a fun shade of green. Oh, and Best Birthday balloon dies is adorable. It’s going to be so versatile, birthday, grads, really any celebration card. Thank you PTI! The green parakeet is a beautiful color. Great products and ideas on this release!! 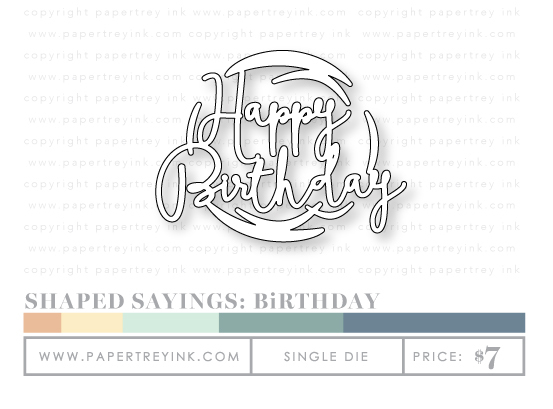 Absolutely love the new birthday dies and the new green parakeet color is delicious. Fabulous new dies!! Cant wait to see it all!! Since I send more birthday cards than anything else I love all the new birthday stamps and dies. the sprinkles are so much fun. Oooooh!!! Such wonderful things in this release! Love love love the new green! Loving the new color. Kay’s samples were screaming spring! Always great releases! Love the birthday die. Can’t wait! The new stuff for this release is looking good. Can’t decide what I like best! So many great stamps and dies this month! Thank you for all the fabulous ideas! best birthday die is my favorite this day! i love it! Love the new birthday balloon dies! And that new green is gorgeous! The creations are great…always in need of more beautiful products/inspiration for birthday cards. I have lots of birthdays coming up soon. These new stamps and dies will be perfect. Loving Green Parakeet! Birthday products are always a must have as well. Love how versatile all the birthday goodies are! I see this mixing with so many favorites that I already have. I love all of the new birthday related items. Loving this release and the name green parakeet is awesome! I love the new color! I just got my last order with the previous two new colors and can’t wait to get this new color. I love all of the birthday things too, I’m always on the lookout for new birthday stamps. There are so many great ideas for birthday cards, and they’ll be so much fun to create. The balloon die could be my all time favorite. Such a cool look. I really like birthday releases. Love the new birthday designs and green is my favorite color. So exciting. Awesome release today! Love it all! My favorite so far are the birthday stamps. You are right, one can never have too many ways to say Happy Birthday. I can never have too many birthday items for crafting! Love these festive creations! love the birthday products and the new color! What beautiful birthday stamps and dies. Especially love the swirly script one. Love the new colors too. Love the new Green Parakeet, such a happy bright color! LOVE the new green parakeet color. Ombré love! Great release so far! Love the new shade of green. Love the new parakeet green color and can’t have enough stamps and dies for birthdays! Sooo not good for my wallet!!! That chalkboard card by Betsy Veldman is amazing. I just LOVE what I’m seeing here. Oh I am LOVING this new release!!!! Such great products!! wow! i love the new green color. Oh your new release is awesome and I look forward to see what else you have in store for us tomorrow!! Love the new birthday products, especially the Script Swirls! The new color is yummy! Such a great set of stamps and dies. I love them, but I also love green parakeet! So bright and cheery. I Love Love Love the Green parakeet card and ink! Love it all! Can never get enough bday goodies! I love the script swirls, I love the card/tag made with the stamp. Amazing projects. So much to love this month! So many goodies and never enough budget! Love these peeks of the stamps and dies on the way! Lovely projects make me drool in anticipation! It may be a Christmas saying but oh what FUN today is! Love the new color and these fun products. That swirl sentiment set is beautiful! I was just thinking the other day that you needed another bright but light green. Looks like you read my mind! Love all the new birthday goodies! Love, love, love what I am seeing here. The spring-y green gives me hope! Love the Script Swirls: Birthday and the new colour Green Parakeet – what a great name too! Can’t wait for the new parakeet green! I always have a hard time finding multiple greens. I think this is going to solve my issue:) The “Lord” die and sentiments are sure thing for me! Wow, so awesome! Love these great birthday ideas! Awesome new color! Springy and cheery! The new green is stunning.The balloon die looks amazing.Ombree stamping sounds very interesting.Let’s see what tomorrow brings! Lovely products, PTI Design Team. Thank you for sharing your creativity. The balloons are so fabulous!! Love all the beautiful colors, and dies, and everything. So lovely. ??? So ready for spring!! Love the new colors, they are so bright and happy! So many beautiful ideas – I love the green parakeet! Another day of great new items introduced. I love everything again today! Birthday themed products are my favorite. Looking forward to all these new products and the beautiful examples. Love the simple, yet elegant Shaped Burthday die. I just love everything birthday and thus far the release is looking right up my alley. Love the new green and the shaped sayings. Can’t wait to see everything! Oh I just love all the new birthday products! I mostly make birthday cards, so I am always on the lookout for fun new birthday things. And that Green Parakeet looks yummy! I really like the parakeet green and all the birthday items. I love all thing birthday!! Love Betsy’s new flowers!!! Absolutely love the new color and the new coordinating stamps and dies are fantastic. LOVE, LOVE, LOVE THE SHAPED SAYINGS! So many possibilities. Fabulous projects! Love the new green! Love the new GREEN! Fabulous die cuts and options! That new green is coming home with me! Love it! The ombré sentiments birthday is also a must have. And that shaped sayings birthday die too! Oh, I’m in so much trouble!!! I’m excited for the Green Parakeet! I love the new Green Parakeet! I can NEVER have enough tones of green! What a great release so far!!!!!! I love the new colors. You can’t have too many shades of green. OH I love these new dies and Birthday Greetings can’t wait to see more!!! Parakeet green is MY green! Thank you so much! I’m loving the new splits series too. The dies and stamps are so versatile. I’ m looking forward to the release. The Green Parakeet is such a pretty color – bright and happy. 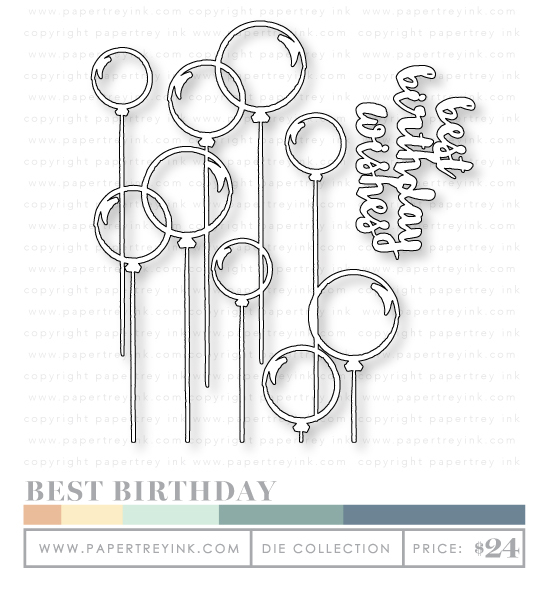 I love the Shaped Sayings: Birthday die and those Best Birthday Balloons – so cute. You always need a good stash of birthday cards, so I always look forward to new birthday theme stamps and dies. My favorite is Nicole’s Script Swirls: Birthday. Birthday releases are my favorite and there are so many great things already! I am digging Green Parakeet. It is going to be a nice addition to the color family! so many wonderful things being released, so loving the Script Swirls: Birthday! Fabulous projects as always ladies! Thanks for sharing! Always in love with birthday sets! Love the new color, too! The new green is beautiful. I love all the birthday stamp and die additions! Love the new balloons die and different stamps showcased to day. The team did a great job particularly with some of the watercoloured looks they produced. I love all the dies and stamps especially the Script Swirls! I also love your new color, it positively screams Spring! Love the Ombre Sentiments birthday and the Shaped Sayings birthday. SO excited to see the new Green Parakeet!!! It’s just so neat how you combine stamps and dies. Simply amazing! Green Parakeet is beautiful! Loving the greens that are being released! I’ve bought the last two! So much about today’s introductions speak to me because I am one of those people who mainly create birthday cards. Ombre Sentiments: Birthday will definitely be going in my cart. After that, it’s a matter of how I’m able to juggle the budget! Fabulous collection of birthday offerings. I’m loving the Script Swirls birthday. It’s cool to see a new color. Great new items and I always love the new ink pads color. Love today’s release and fantastic ideas. I love new birthday sets! We *do* make birthday cards the most, so new birthday goodies are welcome indeed! Oh my goodness! I can’t wait to get my hands on the “Best Birthday” set! Those balloons are sooooooooooo fun! Such lovely projects, as always! Wooooooo Hoooooo! Really like the script swirls – such a creative and fun idea. The new green ink is great, too. Lizzie’s new stamp set is so cute! I can’t wait to see more of it. What an adorable name for the new ink color! My list is getting longer and longer….there isn’t anything i can pass on this month. Love that new green… Such a happy colour! And the new stamps and dies are so fun. Love the Script Swirls – so much fun! Love the new colours! Such a unique shape for the sentiment dies! Love LOVE the birthday script!!! Maile’s birthday greetings are awesome as well!!! Thanks for sharing all your greatideas & the opportunity to win. Shaped sayings Birthday die is my favorite today. Thanks for all the inspiration! The new color is so pretty! Love this release and the projects! Love the Best birthday dies. Those balloons are so much fun! Green Parakeet is perfect! What a great color. Thank you. Love the new parakeet green and all the fun new products! Wow, such a great release. Love the Green Parakeet ink. Thanks for sharing. It IS the most exciting time of the month! Can’t wait for release day! Love the new birthday collection. I had run out of ideas. You all are so very talented. Thank you for such lovely products! Awesome new birthday series!!! Can’t wait to start using them. Oh my, the birthday themed products are beautiful. PTI always has such lovely products. The design team always designs great cards. Love, love love, the products. So fun! Love the script swirls and the new green! Each day my list grows (as usual). love that BIG birthday cake and the yummy frosting dies! One can NEVER have too many birthday stamps & dies! These all look fabulous! Wow – so many birthday goodies!! That is by far the card I make the most – so excited to see all these new options! LOVE Script Swirls: Birthday! And the new colour green! I’m absolutely blown away with your new stamps, dies and papers! I have started my list of “I have to haves!” Love all the “icings” and they will be an amazing addition to my stamping supplies. That lime green paper line is to live for! Can’t wait till we can start ordering! I’m really excited about the new color Green Parakeet. It’s a bright, happy, fun color and I can see using it in so many projects! Such vivid colors, love the new dies too! oh my!! Some wonderful creations!! I especially love the new green color and the split sayings die and stamps. Lovely things!!! loving the bike stitching and boxes. I can’t wait to try them. I can’t get enough of the stitching dies! Everything looks great! I want it all!